While the idea of a divorce can provide some relief for some unhappy couples, it can become incredibly complex, especially if there are children involved. 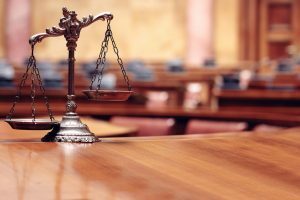 When considering a divorce in Alsip, IL, it is best to contact an experienced divorce attorney as early in the process as possible. 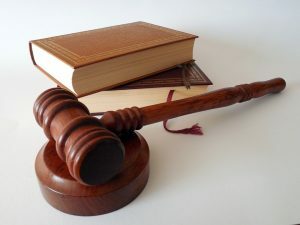 This will ensure a smooth transition as you will be educated and guided through the process to make legal decisions that work in your best interest. At the divorce law firm of Berry K. Tucker & Associates, Ltd. the residents of Alsip, IL who have been presented with a divorce or are contemplating one are able to speak with an experienced divorce attorney. 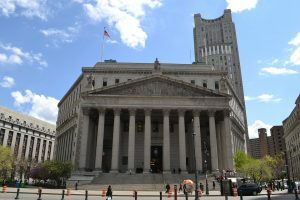 At our law firm, we know that each case is unique, which is why we will dedicate ourselves to accommodate your situation, answer your questions, and provide a competitive representation that asserts your goals and needs. With over 50 years of combined legal experience, we are available to help with in all of the following areas: division of property, spousal support (also referred to as maintenance), domestic violence, child support, allocation of parental responsibilities (also known as child custody and visitation), post-decree issues, and pre- and post-nuptial agreements. When contacted right away in the process, our divorce lawyers will establish a strong partnership with you so that your needs and priorities are met in the long run. Division of property: The complexity of this area will ultimately be defined by the amount of marital property, also known as common property, that is shared between the two parties. These can include investments in homes, cars, stocks, boats, motorcycles, the list goes on. As these belongings may also have sentimental value, the issue can quickly become sensitive when establishing an agreement that will work in both parties’ best interest. Our divorce attorneys will work with you to determine your priorities and which assets are most important to you. Spousal Support: This area is also known as alimony or maintenance; however, they are not always awarded in divorce cases. The determining factors of this include the health, length, and earning capacity of the marriage. It will also typically occur if a certain lifestyle was established that no longer exists after the marriage. If you are considering spousal support after your divorce, consider speaking with one of our Alsip, IL divorce lawyers as it can be established both long and short-term. Domestic Violence: If you are a victim of domestic violence, it is crucial to first reach out to the authorities right away. Then, with legal representation, you will have access to a number of legal protections available. Our divorce lawyers will work with you to ensure that justice is served for you and your child, if involved. The situation of domestic violence can include: stalking, harassment, physical, mental, or emotional abuse, or any threats made against you and your loved ones; however, do keep in mind that the accused may face consequences before it determined that they are found guilty or innocent. Either way, we will ensure that you and your child are safe while taking immediate action to handle the case accordingly. Child Support: When it comes to the future and wellbeing of your child, nothing is considered more important. The divorce attorneys at Berry K. Tucker & Associates, Ltd. know and understand that all loving parents want nothing but the best for their children. This is why we work with both men and women when it comes to negotiating the details of payment for each child involved. While paying close attention to detail, we are available to help with the negotiation of child support agreements in divorce hearings, changing previous support orders, and establish child support in paternity and maternity actions. If you are in need of legal representation for child support, contact us right away. Allocation of Parental Responsibilities (also known as Child Custody and Visitation): While each loving parent will fight for as much time with their child as possible, the issue can quickly escalate to become stressful for both parties. When this occurs, it is best to contact an experienced attorney that will assert your need to be with your child. Our experienced divorce attorneys completely understand how important this situation can be as we have helped numerous families establish an effective solution that has worked in their best interest. Contact one of our lawyers today to discuss your needs and priorities for the allocation of parental responsibilities. Post-Decree Issues: Even after a divorce has been finalized, there are many changes within the living situations of both parties that can occur. If any of the following has changed for you, such as: marital status, income, employment, location of residence, or the needs of your child, consider speaking with a divorce attorney at Berry K. Tucker & Associates, Ltd. We will negotiate the need for modification in any of these post-decree issues in order to establish an agreement that will work in your best interest. Pre- and Post-Nuptial Agreements: While it may not be pleasant to think about the occurrence of a failed marriage, they can save a lot of stress, money, and time in the event that it does occur. Consider speaking to one of our experienced attorneys if you are considering a pre- or post-nuptial agreement to allow a smooth transition in the event of a divorce. Pre-Nuptial Agreement: In this agreement, the division of all financial investments and assets are stated so that there are no issues if a divorce were to occur. You may want to consider this if you are involved in any of the following: expectant of a significant increase of income, have large investments, or own or co-own a business. Post-Nuptial Agreement: This type of agreement is identical to the first, however, it is a post-marital solution that can also involve child custody and support, in addition to the financial assets and investments. It is also important to keep in mind that the assets and property involved is already considered marital or community property. While the event of a divorce cannot happen overnight, you don’t have to be alone during this stressful experience. 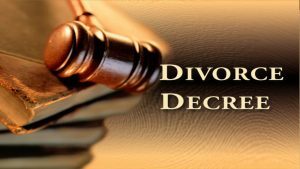 The divorce attorneys at Berry K. Tucker & Associates, Ltd. have helped a number of individuals through their divorces as they have many years of experience in a number of areas related to divorce. If you live in the Alsip, IL area and are considering, or have been presented with a divorce, call Berry K. Tucker & Associates, Ltd. at (708)425-9530 to speak with an experienced divorce attorney.